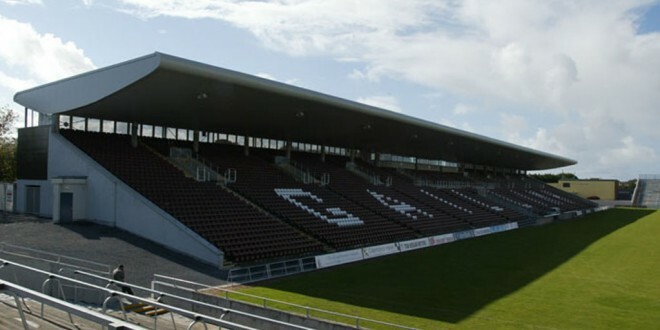 THE number of people waiting for outpatient treatment in Galway’s two main public hospitals would practically fill Pearse Stadium for the Connacht Senior Football final, a meeting has been told. Official confirmation that 23,395 people are still waiting for treatment on Galway University Hospitals (GUH) outpatients list has left a local councillor “astounded”. This doesn’t include 7,109 adults and 381 children who are on the in-patient waiting list, ranging from one month to more than 12 months. Speaking at a recent HSE West Forum meeting, Councillor Padraig Conneely claimed the situation concerning people waiting for outpatient treatment in the public health system hasn’t improved in recent years. Despite obtaining a new chief executive officer, a new logo and hiring a new private public relations company, Setanta Communications, Councillor Conneely said the one thing that isn’t new is the fact that more than 23,000 people are still waiting for treatment. He expressed concern that some patients are waiting more than three years to get treatment. “It is an absolute disgrace and an outrage that in 2014, despite billions of euro being thrown at the hospitals and the HSE, over 23,000 people are still waiting for treatment. We have to speak for silent people, who will not speak for themselves. When people ring me and I ask them to speak publicly, they are afraid that they might be put back on the list and never seen. “It is not acceptable. I would encourage people to speak publicly about what is happening to them. They will not be put back on any list because I will not allow anyone who has spoken to me to be put back on a list because they spoke to a public representative,” said the Fine Gael councillor. Stressing that the staff at UHG are not to blame for the waiting lists, Councillor Catherine Connolly stated that Councillor Conneely is part of a Fine Gael-led Government, which has allowed a systematic disintegration of the public health system. While the overall number of outpatients has fallen in recent years from 40,000 to over 23,000, Councillor Connolly noted Councillor Conneely “had chosen to ignore” the referral of 6,365 public outpatients to receive treatment in private hospitals. Councillor Connolly claimed the Government has funded the private hospitals at the expense of the public hospitals. In fact, she noted “private for profit clinics” are receiving so much money, they could afford to hold clinics in the Radisson Hotel, Galway. “I find it outrageous that the system is being forced under Government policy to waste €19,900 on the rebranding of Galway University Hospitals to become Saolta University Health Care Group. “We don’t need rebranding, we need confidence in a public health system so that when a patient enters the system they can get an MRI scan and are not dependent on someone like me to make a phone call and find out that over 30 people are waiting for an MRI scan. “I deplore Government policy that has allowed and encouraging privatisation of the health service. We are steering public patients into private hospitals. I know a person who had no transport, who refused to go to an appointment in a private hospital and it seems she was removed from the waiting list,” she said. Saolta University Health Care Group chief operating officer, Tony Canavan said the HSE is doing its best to reduce the number of patients on the outpatient list and the length of time they are waiting. Mr Canavan said 6,400 in-patients are waiting less than the national target of eight months for treatment. Commenting on the outpatients waiting list, Mr Canavan pointed out that 18,000 of these are waiting less than the national target of 12 months, while about 4,400 patients are outside of this target. “Hospitals in the West of Ireland are performing better than most other hospitals across the country in terms of inpatient and outpatient waiting lists. We have a lot of work to do over the next 15 months if we are to make progress in relation to waiting lists. “We made substantial progress in 2012, in particular with reaching the targets for inpatient and outpatient waiting lists and did the same in 2013. This was partly achieved by sending patients to the private sector. This will not be an option in 2015. We are committed to reducing the waiting times and the length of time people are waiting for treatment,” he said. He rejected the assertion that patients were taken off the public waiting list because they stated they didn’t want to avail of an appointment in the private hospital. The HSE confirmed that 6,365 outpatients from the Galway University Hospitals were referred to the private sector to hospitals including Galway Clinic; Bon Secours Hospital, Galway; St Frances Hospital, Mullingar; St Joseph’s Hospital, Sligo; The Mater Private Hospital and Barrington’s Hospital, Limerick. There were 168 patients who returned to Galway University Hospital and Merlin Park, Galway for follow-up care and they were placed back on the outpatient waiting list at their original date, based on their clinical need or instructions. To date, 549 patients have been removed from the private hospital waiting list. This include 399 patients who did not attend their appointment and 150 who declined the offer of an appointment in the private sector when contacted.